Laura Powers to present at Bucks County Career and Opportunities Expo on March 15, 2011 at Bucks County Community College - Lower Bucks Campus. The Expo is free of charge and open to the public from 10:00 a.m. - 2:00 p.m. Laura will be joining experts on a panel to discuss "Creating Your Own Job Security – Are You Ready to Start a Business?" The panel presentation is sponsored by the County of Bucks Department of Community & Business Development. Join our inspirational panelists who have successfully started their own business and hear their motivational stories on the risks and rewards of being an entrepreneur. Learn the 5 key ingredients you need to identify before starting a business: Finances, Branding & Self-Promotion, Time Management, Support Network, Licenses & Regulations. 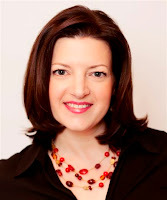 Laura Powers is a marketing strategist with a history of developing award-winning campaigns that create continuity of brand, Web, print, promotions and public relations. She understands how design and image components fit within comprehensive marketing and public relations programs in order to build brands and their affinities. As Vice President of Marketing, Laura works with Furia Rubel clients to strategically identify the messages that are theirs alone and helps them deliver those messages creatively, effectively and across all lines of their communications. In 1996, she founded HG Marketing Group, LLC, a strategic affiliate to Furia Rubel until their merger in 2010.